I finally completed Tales from the Borderlands Episode 2 and I am ready to give a review. I already reviewed Tales from the Borderlands Episode 1 in case you want to know who the characters are and what the story is about. I’m basically going to summarize episode 2 in this review. 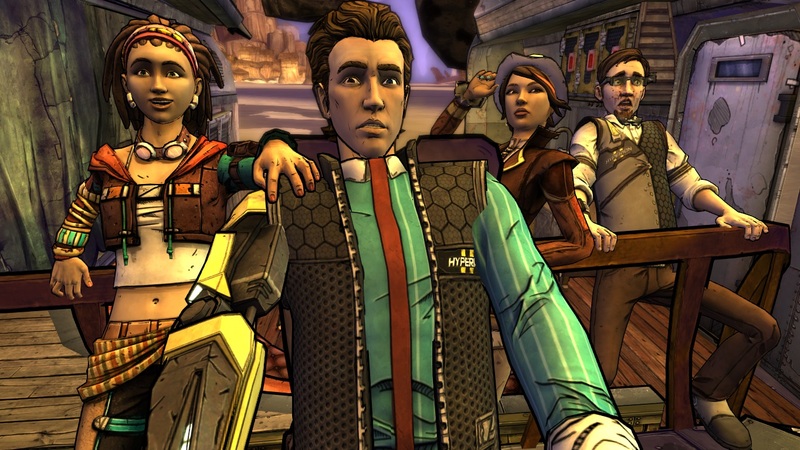 Tales from the Borderlands: A Telltale Game Series is best played with headphones and Episode 1 is free but if you want to buy Episodes 2-5, it will be a lot cheaper buying the pack than buying them separately. Episode 2: Atlas Mugged starts out with Rhys having a vision of Handsome Jack and he will now be your “frenemy” so he’ll follow Rhys around since he’s a hologram. Also, Handsome Jack adds more humor to the episode. Vaughn, Fiona, and Sasha are looking more into the Gortys project for them to find out that it’s in Old Haven. On their way to Old Haven, Sasha notices Moonshots coming from Hyperion and they try to dodge them in their vehicle. As they’re dodging the Moonshots, they wake up a Rakk Hive monster and now they have to escape from that as well and since they’ve already used up the boost earlier, they have to wait until it charges back up to 100% and when that happens, they successfully escape the Moonshots and the Rakk Hive only for the vehicle to be fast enough for Rhys and Vaughn to get thrown out and stranded in the desert, separating them from Fiona and Sasha. Overall, this episode was extremely laggy but the majority of Telltale Games are like that and I hope they can improve on it. I’ve also noticed that when Handsome Jack speaks, it’s from the holographic, robot voice to a normal ‘as if he was there’ voice so it’s a little weird but I think it’s a bug. I’m going to play Episode 3 pretty soon and I will be doing a review on that as well. 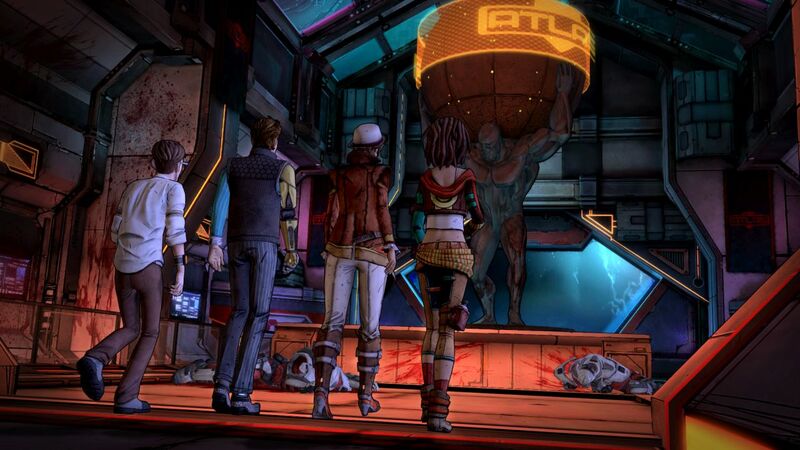 Have you guys played Tales from the Borderlands? ← New Super Smash Bros, Pikmin & The Legend of Zelda amiibos Announced!